A new concept applied to track routes. 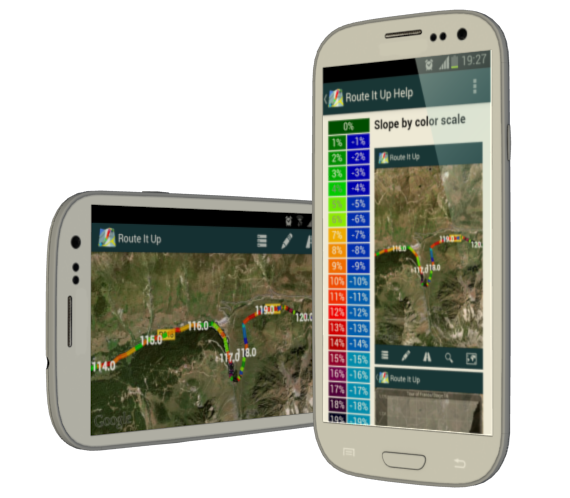 Know in advance the slope of the route in each of its sections through a color scale at a glance. 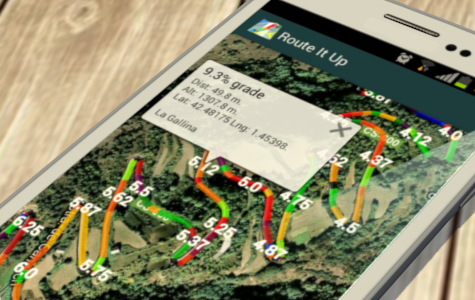 This allows you to plan your route more accurately and be more efficient anticipating where effort should be made and where you can rest, even at real time. 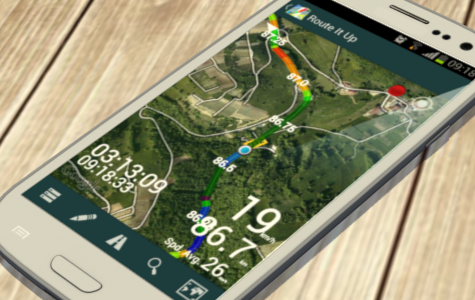 Knowing where the route goes up or down will help better orientation and better tracking of routes. 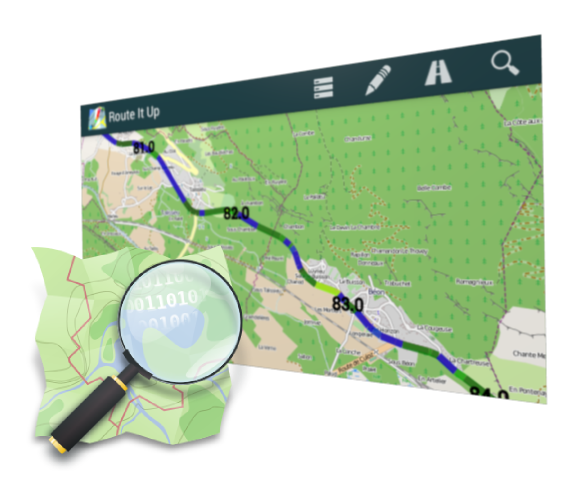 Create your own routes and save them on a kml file or get it (kml-kmz/gpx) from internet or friends. 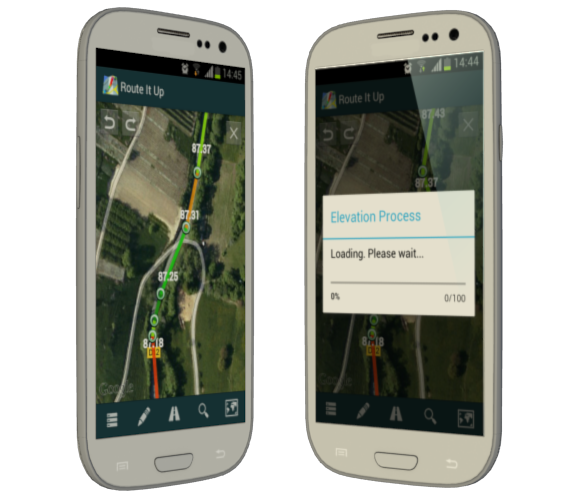 Edit your routes by modifying its keys and calculate altitudes and directions through the best open map services on the market. 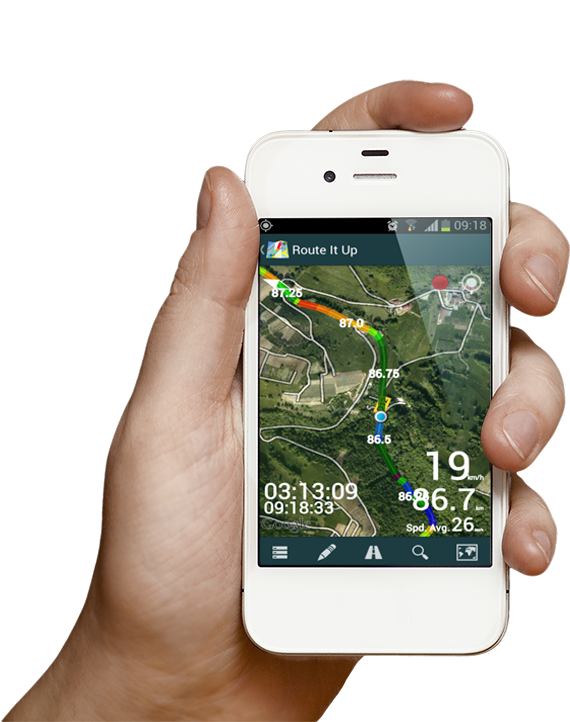 Follow your routes with GPS and record your tracks. See how the slope of the route changes at real time. 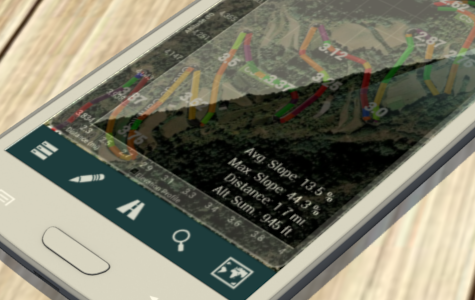 You only need a few seconds to see the screen and know the next slopes. 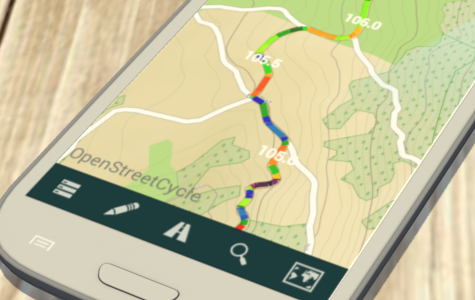 Download in advance and cache maps from Open Street Map and/or Open Cycle Map to cover all segments of a route at different zoom levels which you can use in your routes when you have no internet connection. 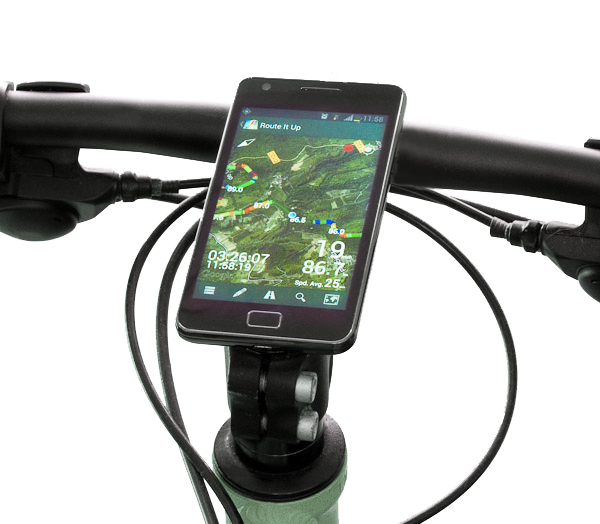 "Route it up and have a nice app"